!! OMG, Mel B takes a swipe at Victoria Beckham with Halloween costume !! The SHAAAAADE of it all! 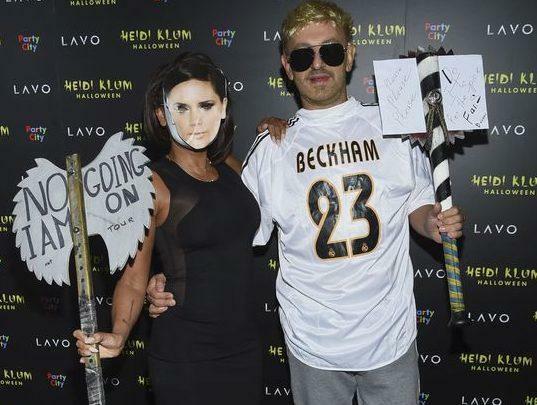 Mel B attended Heidi Klum‘s legendary Halloween ball this week and decided to speak to Vicky B through costume with her partner dressed as David Beckham. The costume’s not very good, otherwise we might be into it – She should have gone all out if she was gonna do it. Thoughts!? 2 Comments on "OMG, Mel B takes a swipe at Victoria Beckham with Halloween costume"
The costume is poorly done and this seems like needless drama. Mel B never grew up.